"The 1993 Joho certificate is valid and apologies to the public." says KNEC officials. - Bana Kenya News, Real African Network Tubanane. Home Nairobi "The 1993 Joho certificate is valid and apologies to the public." says KNEC officials. 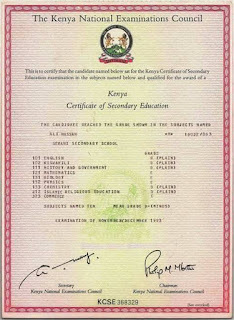 "The 1993 Joho certificate is valid and apologies to the public." says KNEC officials. 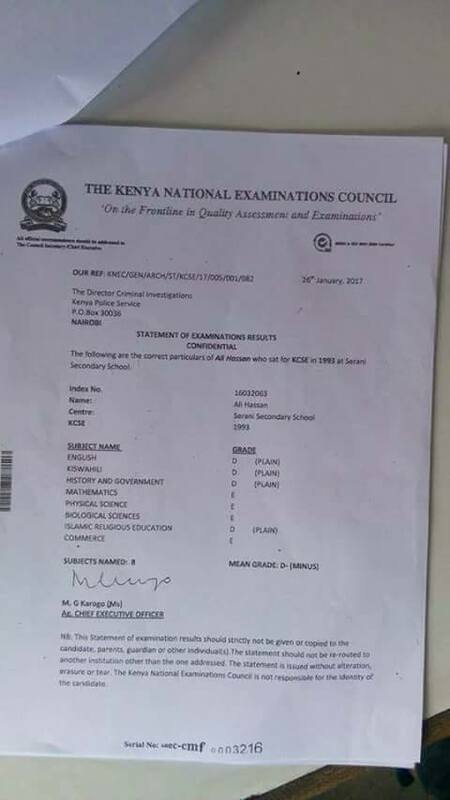 Today KNEC has declared that the Mombasa Governor went to Serani High School. They said that there was misunderstanding between the officials. 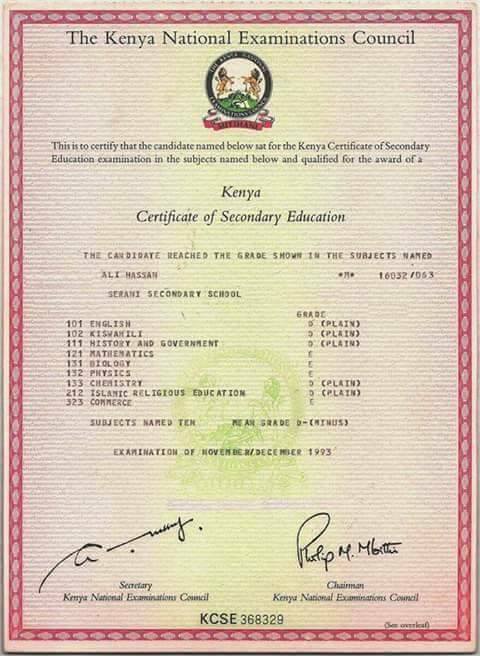 According to the information that was sent to the KNEC by the Principal at Serani, the officials agreed that he attended and got D.
There has been a lot of information speculated that he completed in 1992 but the KNEC has verified that and he finished in 1993. 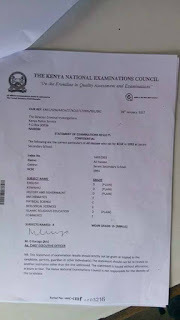 The officials from the KNEC apologised to the public for the misunderstanding. "The only thing remaining is how the governor got an opportunity of going to the University with that Lowest grade. "Said KNEC official Prof George Magoha. "But currently we have a diploma that belongs to the Governor once we are through we will update." He added.